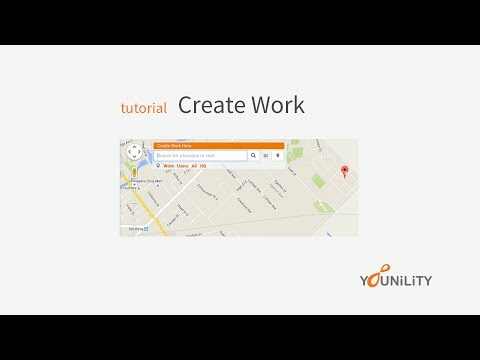 Younility is a mobile workflow management platform that goes with your employees in an app on their smartphone or tablet. You are connected through an information command centre allowing those in the office to manage workflow for the entire field team in real time. From contractors to sales people, Younility allows businesses to operate more efficiently, make better decisions and ultimately free up more time so that you can focus on what really matters. With the help of WorkPoint, I have been able to save hours of my time and more importantly my employees time. I am able to track and assign duties on the go and when I lose a vehicle to repair, it no longer causes a big disruption. I have seen a 20% reduction in vehicle and labour expenses. Price starts at $19/month per user on yearly plan. 14 days free trial. •	Increase accountability while work is being completed and confirmed in real time. •	Invoice work as it is completed in real time. •	Automatic data collection, backup, and reporting means fewer meetings for managers and staff. •	Make work more visible with exact GPS location, history, notes, and photos. •	Throw away those expensive black box GPS vehicle-tracking solutions. •	Eliminate redundancy in daily communication. •	Eliminate paper timesheets, logbooks, cameras, and navigation systems. Below are some frequently asked questions for Younility. Q. What type of pricing plans does Younility offer? Q. Who are the typical users of Younility? Q. What languages does Younility support? Q. Does Younility support mobile devices? Q. Does Younility offer an API? No, Younility does not have an API available. Q. What other apps does Younility integrate with? Q. What level of support does Younility offer? Q. Which apps is Younility compared to most often?